Official synopsis: "In the beginning we were nine. We left when we were very young, almost too young to remember. Almost. And now . . . Three are gone. We are here to keep our race alive, which was almost entirely obliterated. We’re just trying to survive. Six are left. But we are hunted, and the hunters won’t stop until they’ve killed us all. They caught Number One in Malaysia. Number Two in England. And Number Three in Kenya. I am Number Four. I know that I am next." 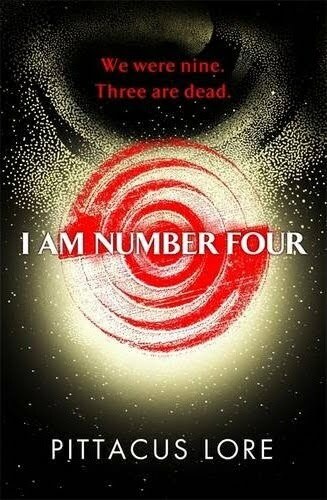 I Am Number Four is now one of my most anticipated titles for release this year. I was just browsing Amazon and was caught by the cover art (looks amazing, doesn't it?!). I read the synopsis and instantly fell in love it, and am now very excited to read it. It just sounds utterly brilliant. It's also being made into a movie due for release next year! I agree this does sound amazing! I'm looking forward to getting round to my proof! This Waiting on Wednesday thing.... is it an unashamedly blatant way of trying to blag pre-release copies of books for free?